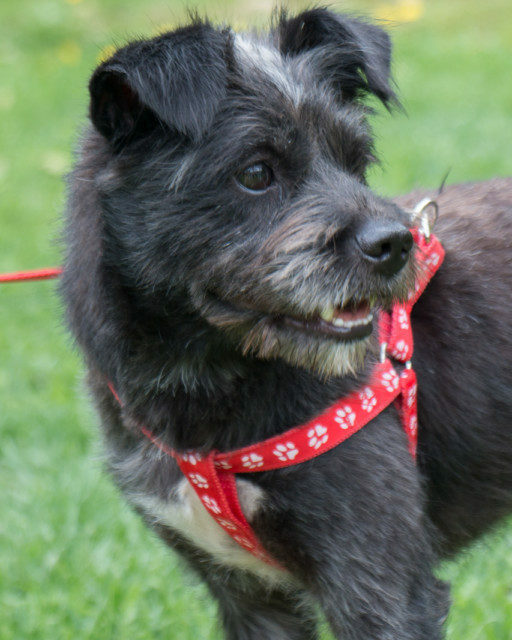 Don’t let the photos fool you – you know the camera adds about 20 pounds woof woof woof (that’s LOL in dog) – I’m a little guy, about 15 pounds and a terrier mix. I am a member of the newest meat trade rescue group from China and I’m looking for a forever home to call my own. The folks at rescue say I’m incredibly sweet and love nothing more than being around them. I love to play with the other little dogs here in the play yard, and I’ve also been learning to walk on a leash. I really like to go for a stroll down the road and check out all the scents and wildlife. I am about 1-2 years of age and really ready to get my paws in my forever place with my forever humans. If you think Tucker is the boy for you, please complete the adoption application. Once the application has been received and reviewed, a member of the team will be in touch to set up a meet and greet. Tucker’s adoption fee is $500. and includes his neuter, up to date vaccinations and microchip.